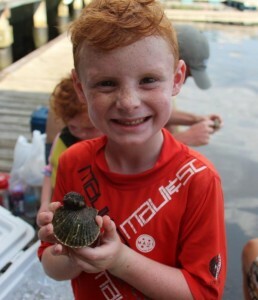 As is always the case in August, scallops were the big story at the Sea Hag Marina. In spite of the heavy rains, clear water remained to the north, between Keaton Beach and Dekle Beach, and there were many quick limits collected. 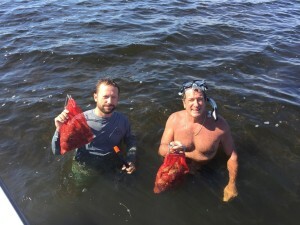 The darker water slowly worked its way north over the month, but even with some limitations in visibility, there were still lots and lots of scallops to be had. 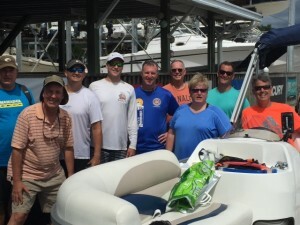 It’s about a 30-40 minute run up from Steinhatchee, but another option is to launch at the Keaton Beach Sea Hag Marina location; from there, it’s a very short 10 minute run to the most productive areas. As far as the fishing this past month, it’s been tough both inshore and offshore. Inshore, in addition to river and creek runoff being dark, it also floods the close flats with fresh water, which can make trout head out to deeper water. 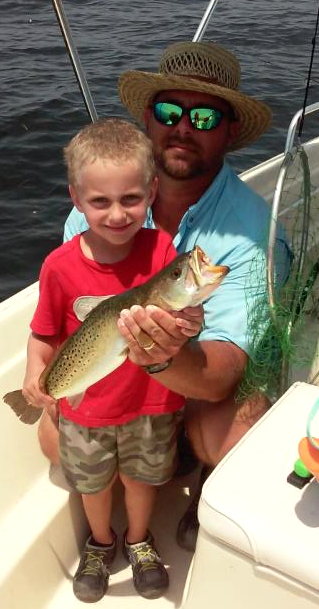 We’ve gotten the same kind of reports regarding trout all the way down to Homosassa. Some keeper trout have been caught in 8 feet of water on cut bait, and I managed two keepers several weeks ago on a topwater plug, but in general, they have been AWOL. Redfish have been relatively predictable; for one thing, they tolerate fresh water more easily. A trip near the end of the month found lots of baitfish along the shorelines, everything from mullet to tiny rainbait to immature needlefish and ballyhoo. Capt. 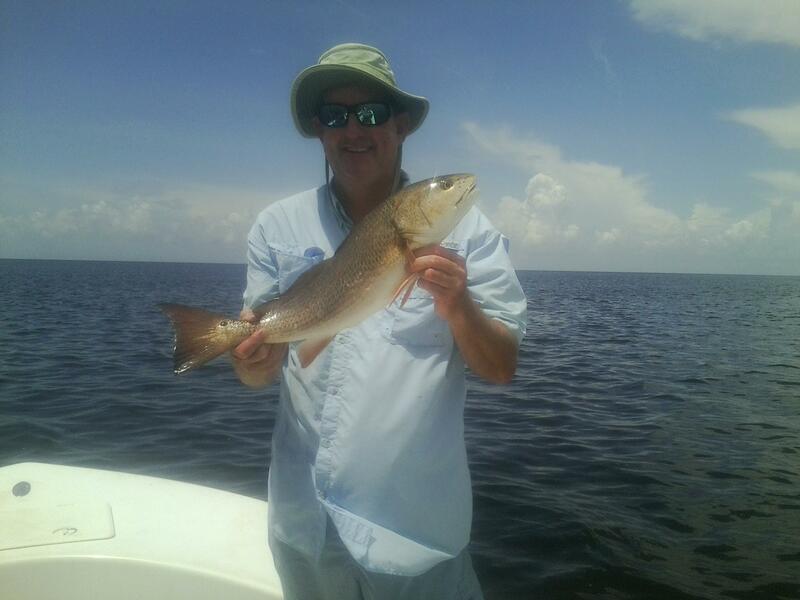 Tommy Thompson and I caught five redfish in about two hours near the beginning of the month, but after the heavy rains things slowed down. 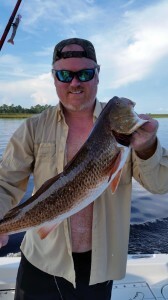 The Elite Redfish tournament on the last weekend of the month produced some fine catches (winning weights for two fish of around 14 pounds), but many of those catches came from way to the south, between Horseshoe Beach and Pepperfish, and some even all the way down to Suwannee. 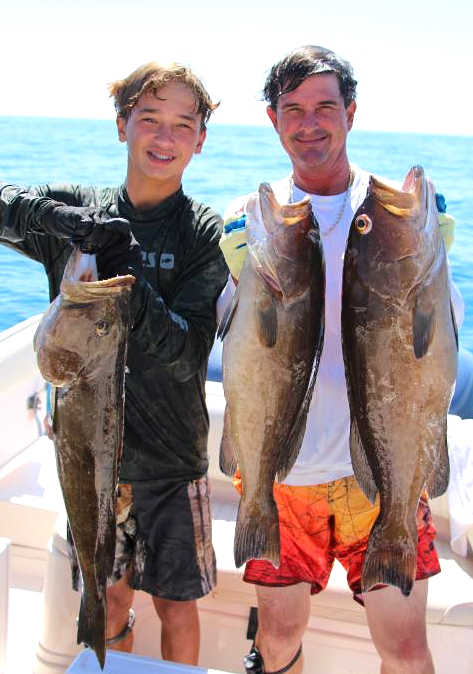 Offshore, anyone spearfishing has had a fantastic summer, and some offshore captains have done well in 80 feet or so fishing live pinfish. With the influx of whitebait, I got some reports of some nice Spanish mackerel being taken off the nearshore bars when schools of whitebait are around. As I’m writing this report we are hoping that the remnants of Tropical Storm Erika will avoid dumping more rain on our area. 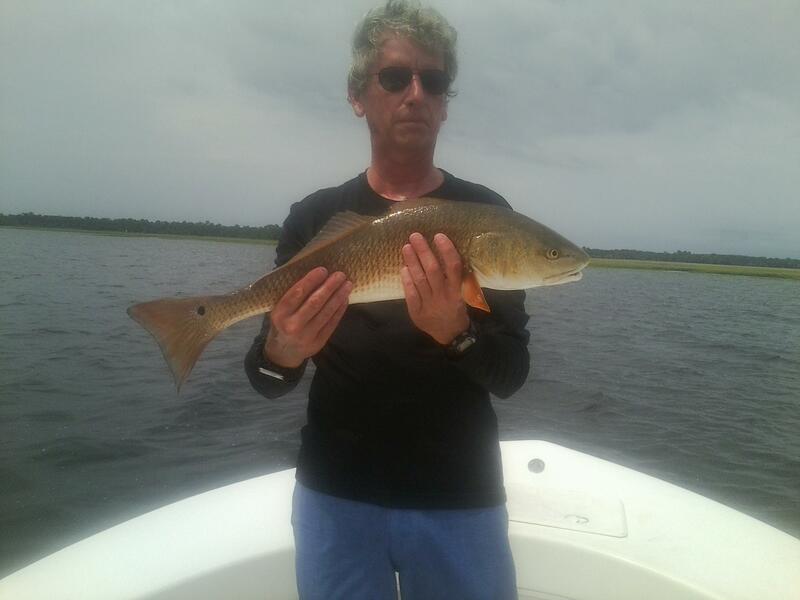 James Berry from Jacksonville fished with Troy Pratt and caught this fine red, along with a number of others, just north of the river. Benjamin Smith from Alabama happened upon this flounder while scalloping. 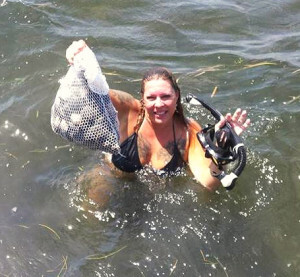 Edyie Hollander with an excellent bag of scallops from the Keaton area. Our own Capt. 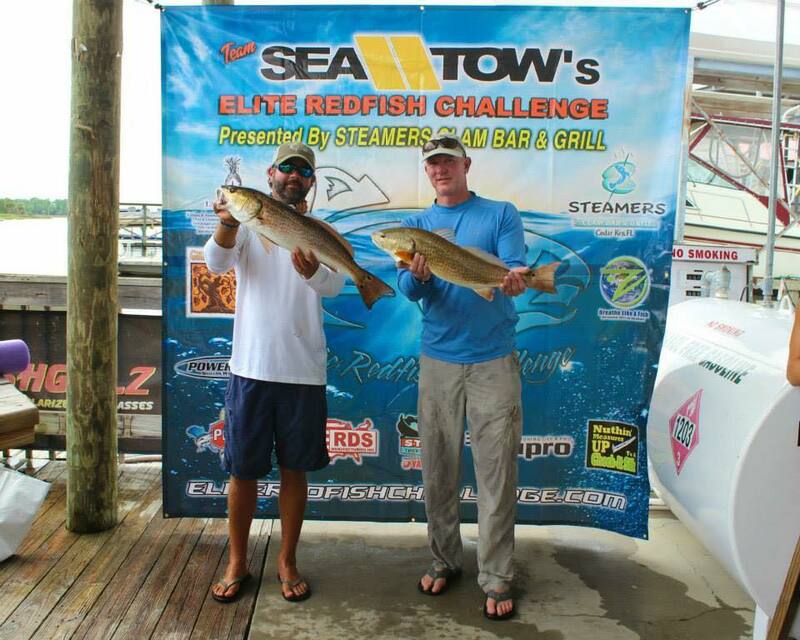 Scott Peters and Danny Shelton finished second in the Elite Redfish Tournament the last weekend of the month with almost 14 lbs. Caleb Carman figured he had the ugliest scallop contest wrapped up. 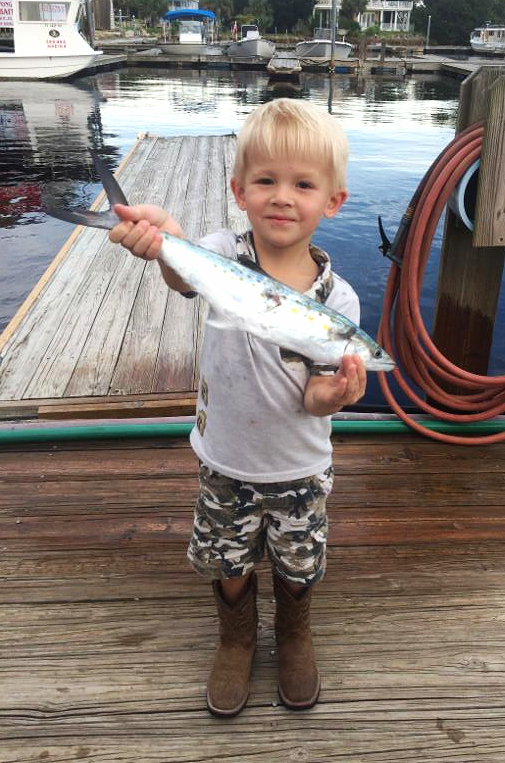 Colby Snyder and his dad Derek found some Spanish mackerel near some schools of bait. Steinhatchee regular Long-Beard Jack and his scalloping dog were on the water this month. Danette Tomlinson from Interlachen nailed this beautiful gag grouper. 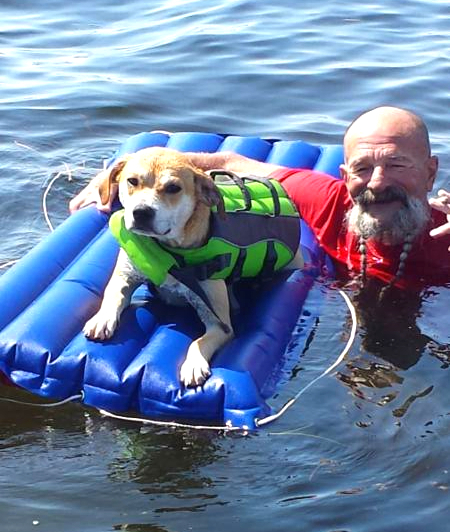 Steve and Will Lockwood found their limits. Jeb and Garret Dasher found this trout….a rarity this month. 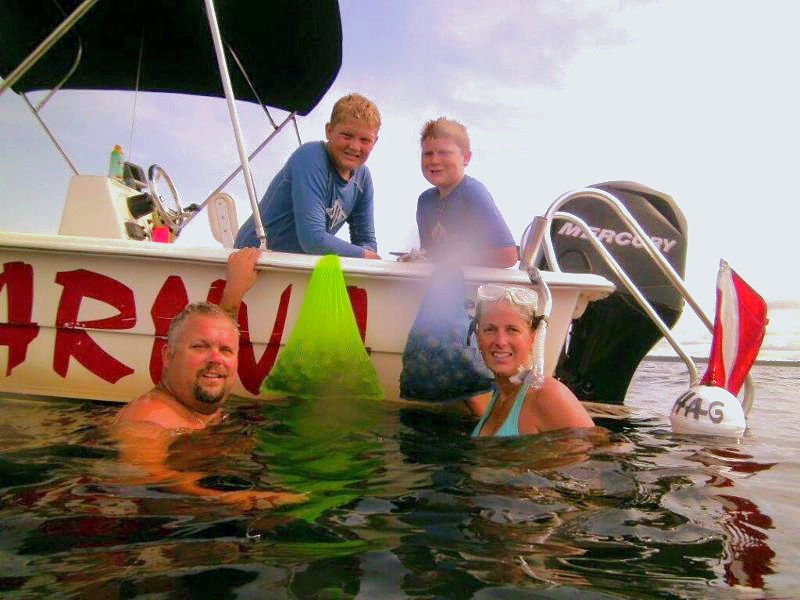 The McCormick family scored with their Sea Hag Rental boat. 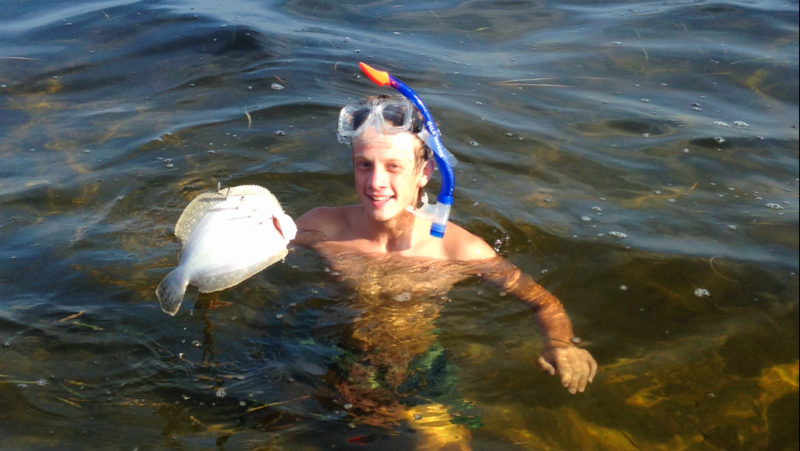 Getting wet is the best way to find big grouper this time of year….ask Chase and Charlie Norwood about spearfishing. 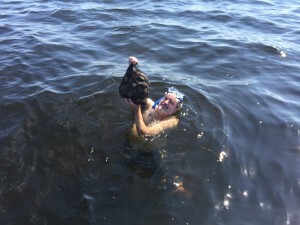 There seem to be plenty of scallops left if you can find some clear water to be able to see them; the scallop season this year runs until September 24th. As of this last weekend of the month, Keaton and Dekle beaches were the place to go, and that will remain the case, so don’t pass up your last chance of the year to take the kids out and have a fun time on the water….and consider one of our rental boats, perfect for scalloping or fishing. With more rain probably heading our way, the chance of getting significant clearing of the dark water before the end of September is slim. But the presence of baitfish inshore is a great sign, and they are on the flats in great numbers. Pinfish, whitebait and especially mullet are the key to finding redfish this time of year. We are heading toward the fall and the staging of schools of larger fish for their move to deep water. This will start near the end of the month and continue through November. 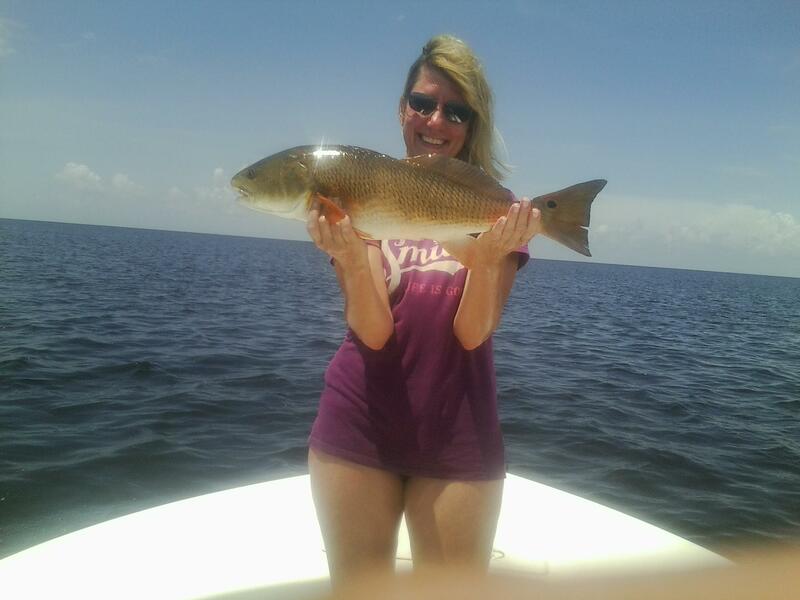 To find redfish this month, find mullet close to shore and structure. Creek mouths, rockpiles and oyster bars are the places to check. 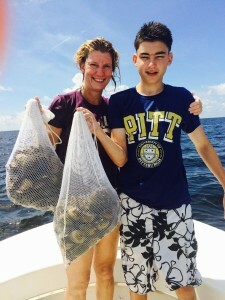 With floating grass abundant this time of year, fishing live shrimp, cut bait or live pinfish near oyster bars may be more productive than fishing with artificials. 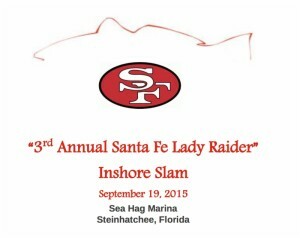 Another possibility is to head to the nearshore bars like Nine-Mile Bank and look for schools of baitfish. You may find everything from Spanish mackerel to bluefish to trout to cobia around those bars. You may also come across some migrating tarpon or kingfish as well. When fishing these bars, it’s always a good idea to throw out a live bait and let it drift along with you. With regard to seasons, if you happen to have some secret red snapper spots in state waters (very unlikely in our area), the season is open Saturdays and Sundays in September and October (including Labor Day). However, there is no season in federal waters, defined as more than 9 miles offshore. Meanwhile, we’ll all be waiting for some relief from the heat and summer storms as we head toward some of the best months of the year in November and December. There are several tournaments we want to let you know about this month, and both of them take place on September 19th. 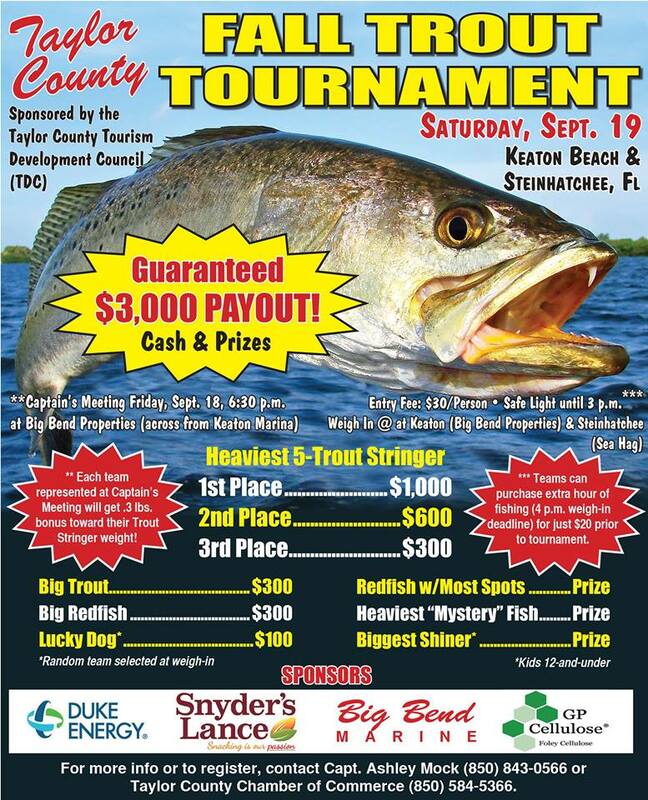 The Taylor County Fall Trout Tournament will take place both at Keaton Beach and Steinhatchee, and the annual Santa Fe Inshore Slam tournament will take place at the Sea Hag marina. 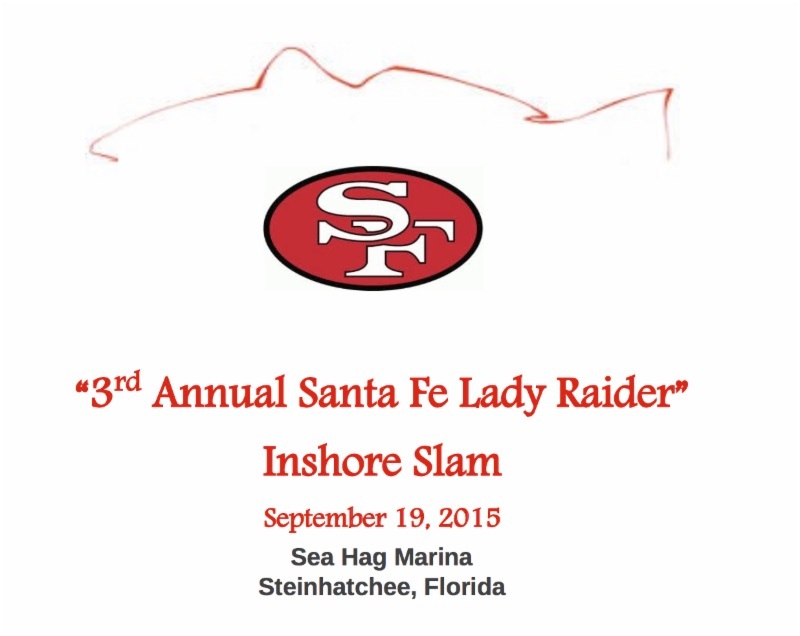 For more information, contact the marina at 352-498-3008. August as always was a very hot month on the flats. At least with all the rain the scallops managed to stay a little cooler than usual. The trout bite was slow but limits were achievable. Most of my charters managed to catch either a limit or came within a fish or two. 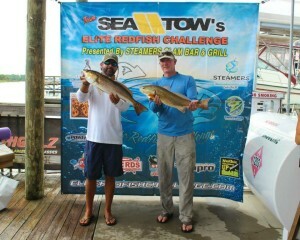 Redfish were being taken along the shallows over rocky bottom. 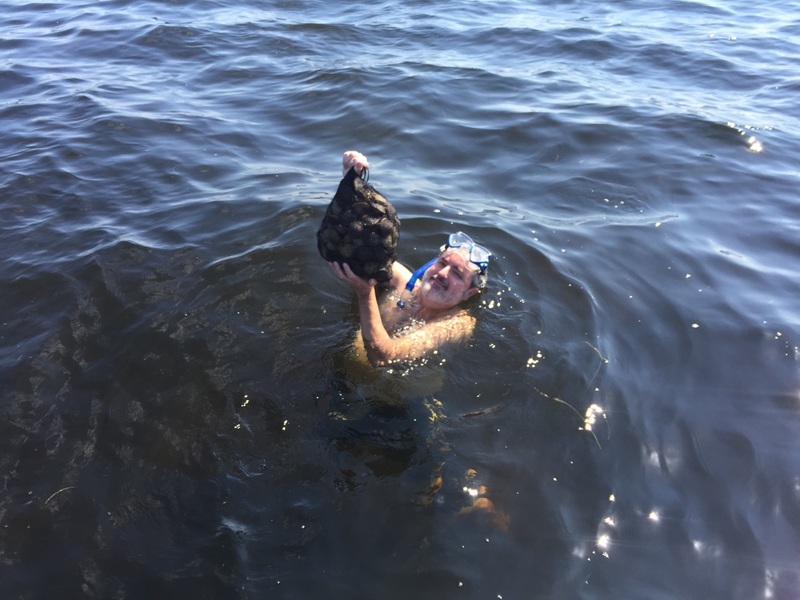 Scallops are the big target right now and there are plenty to be found for those who are willing to ride the twenty miles to Keaton. 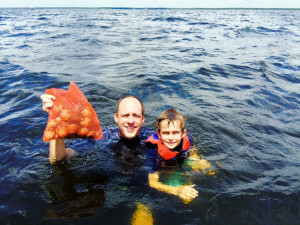 With all the rain this summer this is the only area with clear, scallop friendly water. 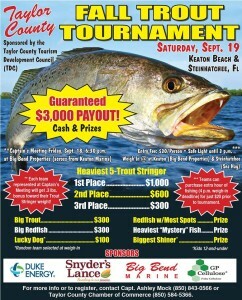 September should be a very good month for fishing. The trout bite will improve daily and there are always a few redfish around waiting to be caught. Lots of folks continued to enjoy scalloping through the month of August. The season continues through mid – September. We are dusting off the fishing rods as the children head back to school and the water begins to cool down . 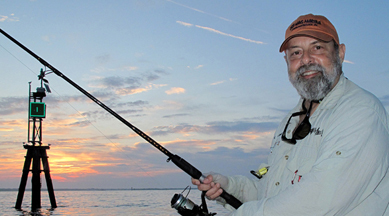 September through November is a great time to fish the Nature Coast . Come see us, and book your dates now!! !